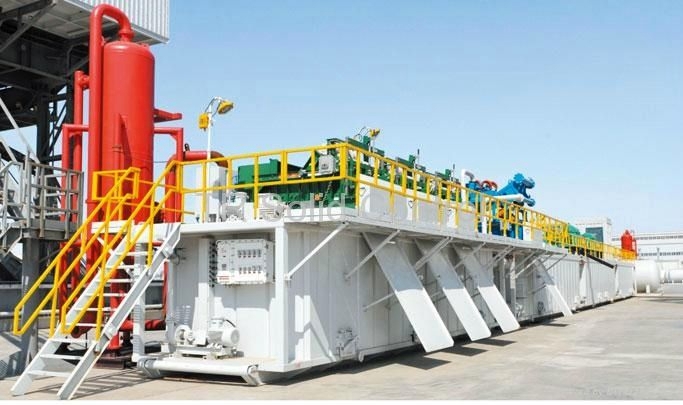 Oil & gas/CBM drilling solids control system (mud system) is mainly used to treat drilling fluid which coming from the wellhead and carrying the solids particles, remove and separate harmful solids in the drilling fluid, and store useful drilling fluid & make new fresh drilling fluid for recycling. 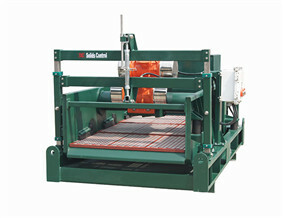 DC Solid control can provide solids control equipment system to match with rigs from 1000 meters to 9,000 meters. 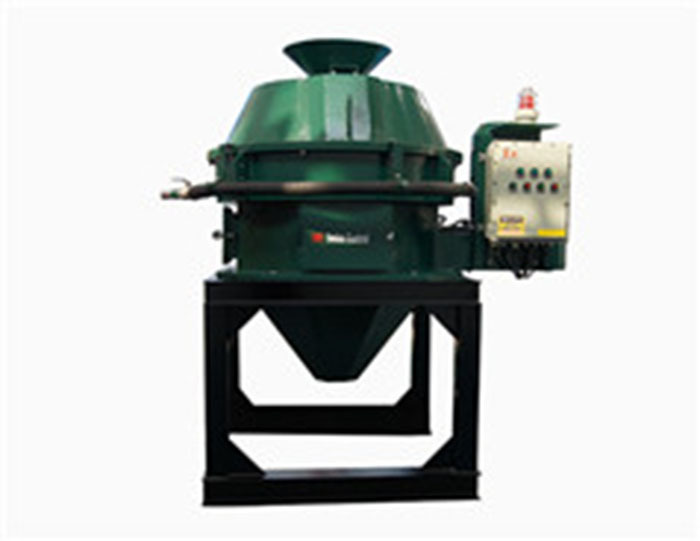 Solids control system, mainly including shale shaker, vacuum degasser, desander, desilter (or mud cleaner), decanter centrifuge, mud agitator, shear pump, hopper, mud tank, centrifugal pump and other equipment. The solid control system complies with ISO/CD14690 “Health, Safety, environmental protection and environmental management system of Petroleum industry”. The process and equipment comply with API 13C. 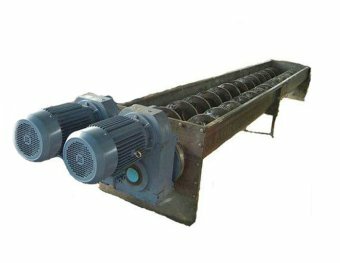 Mud tank body made of V-shape corrugated sheet is high strength and artistic configuration. Seamless pipes (or square pipe) is mounted around the tank top as periphery, mud pipeline and fresh water pipeline made of steel pipe or square steel pipe are laid on the both sides of the tank group top.